After a brief station break from Investing.com comics, we're back on the air. This week's comic has to do with first quarter U.S. earnings reports. Apparently, the forecasts were super low, so all the major companies exceeded the first quarter expectations. 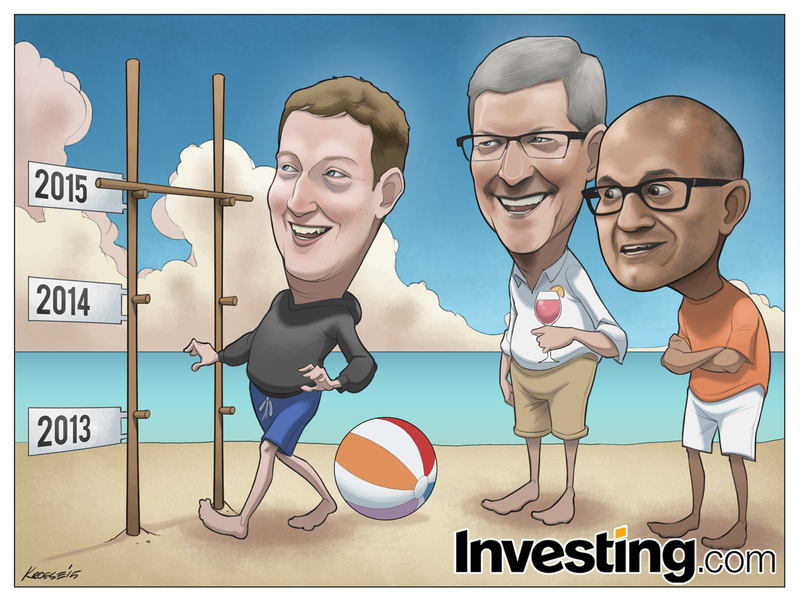 I was asked by the crew at Investing.com to draw the heads of Facebook, Apple and Microsoft in a Limbo line on the beach. 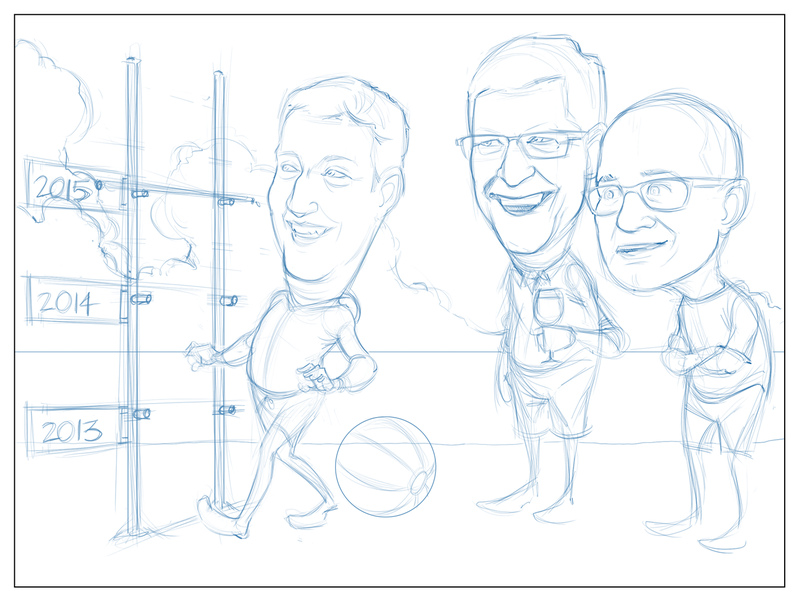 Zuckerberg, Cook, and Nadella were to be getting ready to easily stroll under a bar set ludicrously high. Thoughts: Because I hadn't drawn an investing comic for a while, I felt like a pig on roller skates drawing this one. As such, I don't think it's my best performance. 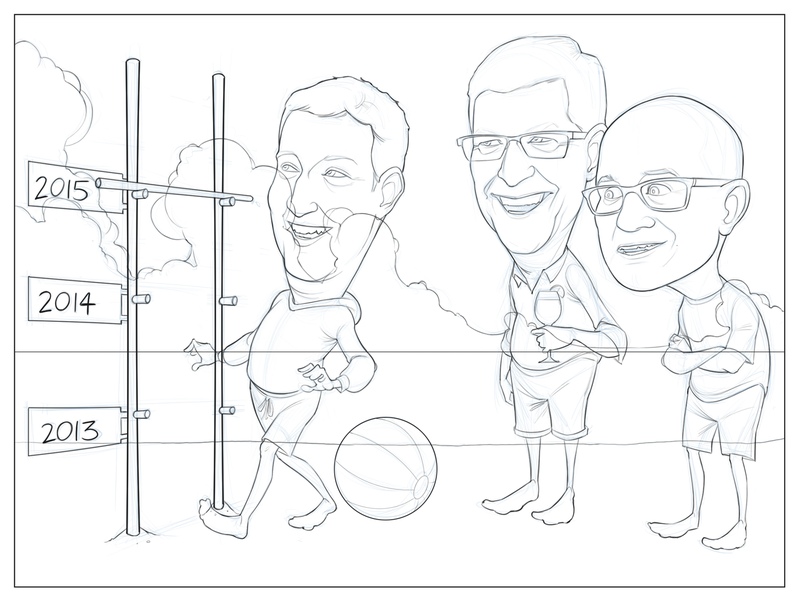 The caricatures are ok, though I think Mark Zuckerberg's face is a bit off. Also, his arms were meant to look like he's using them for balance, but they just kind of look awkward and unnatural. In fact, I think everyone's posing is a little stiff. This is something I'm going to attempt to remedy in future comics. I want to draw the characters in more natural, relaxed, or action-based poses rather than just having some big heads placed precariously atop wax-like bodies. But this one has a fork firmly stuck in it, so the best I can do is be conscious of the posing in the next comic.